Drilling machine NKR-100M is designed for drilling in underground conditions of the wells in any direction, to a depth of 100m, in the rock fortress f=6...20 on a scale of Professor M. M. Protodyakonov. In rocks of medium strength and strong drilling is done with the help of the hydropercussion machine and drill bit. Air hammer works at the air / water mixture under pressure of compressed air 0.5-0.7 MPa. When the small fortress of rocks you can conduct rotary drilling of wells, which is replaced by the air hammer coring tube with a special crown. Rotation and feed rod rod is carried out continuously with consecutive interceptions pneumatic clamping devices of the feed Chuck and gearbox pnevmatikatos. Interception rod rod is carried out automatically with the remote control unit, valves to direct and reverse. Basically a machine used in underground mining ores with mass blasting deep wells, vertical or horizontal layers. 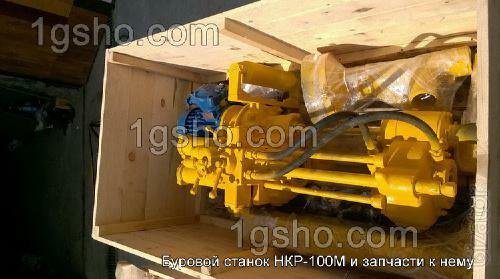 Drilling machine NKR-100 M, other than that used in the mines, as well as for sinking of workings of rising through deep wells, drilled to the full height of development, and a number of other works, in particular, for underground geological exploration. NKR-100M and comes available in four versions: 1. NKR-100MA (drives, drilling depth up to 50метров); 2. Нкр100мва (electric drive, drilling depth of 80метров); 3. 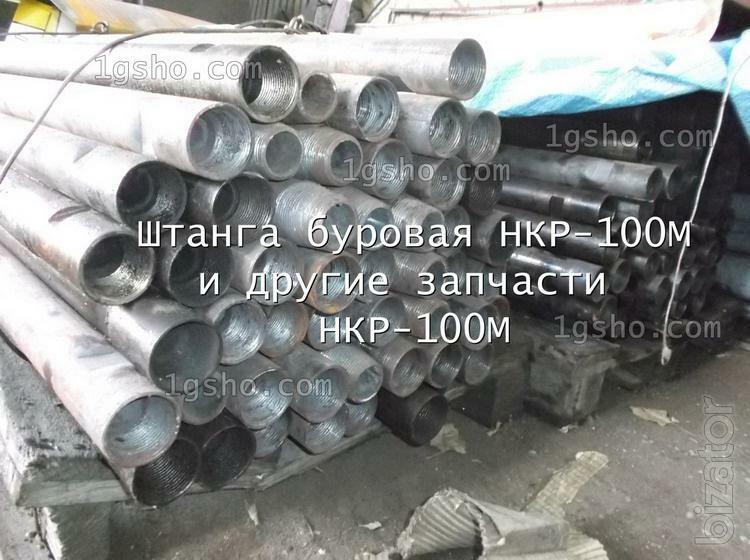 Нкр100мпа (pneumatic, drilling depth up to 50метров); 4. NKR-100МВПА (pneumatic, drilling depth up to 80метров); The machine is equipped with rods, hydropercussion machine, drilling crown and ZIP. Why should you order the machines and parts from us: 1. The only official production of machine tools in Ukraine (the rest offer a rebuilt or used); 2. A fully closed cycle of production; 3. Working with VAT; 4. Will satmodem and send it to any corner of the planet Earth; 5. Discounts and individual approach to each client Making decision about cooperation with us - You are wise! All who work with us - happy! Expanding our dealer network. If You are ready to become our representative please write or call.